Elena Lobsanova and the National Ballet of Canada in Christopher Wheeldon’s “Alice’s Adventures in Wonderland.” Photo by Bruce Zinger. 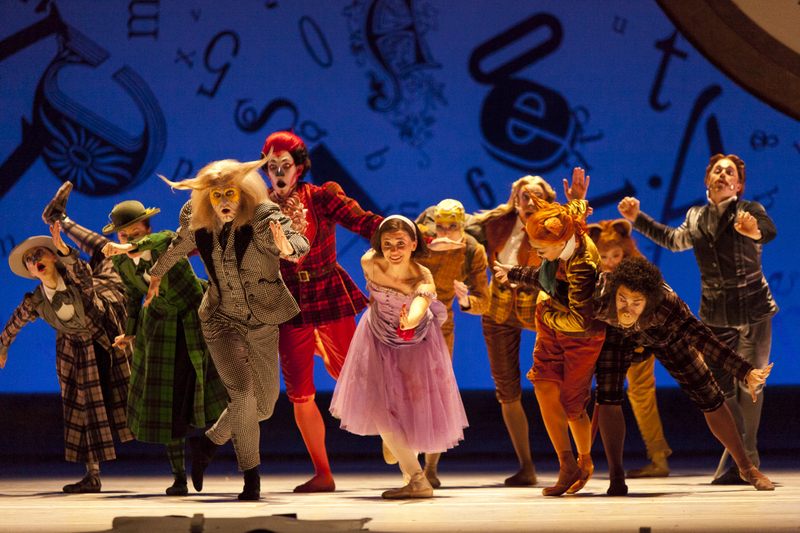 Since I’m not officially reviewing the National Ballet of Canada’s performances of Christopher Wheeldon’s ballet Alice’s Adventures in Wonderland I’ll just say this (after seeing it last night): I think it’s a great show. What I appreciate the most, I think, is the rare combination of lack of pretense and directness with a very very high level of craft and taste and execution. It’s something we don’t see nearly enough of: very high quality (and sophisticated) popular entertainment. That goes for the music (by Joby Talbot), the designs (by Bob Crowley), and the dance. Also, it works so well as a whole, with each element balanced against the others. It’s a little long, a little frenetic at times, and sure, it’s not Ashton’s Cinderella, but it’s very good, and that’s already a lot.